A day or two late, but I just found out the Aussies recently celebrated Father’s Day. 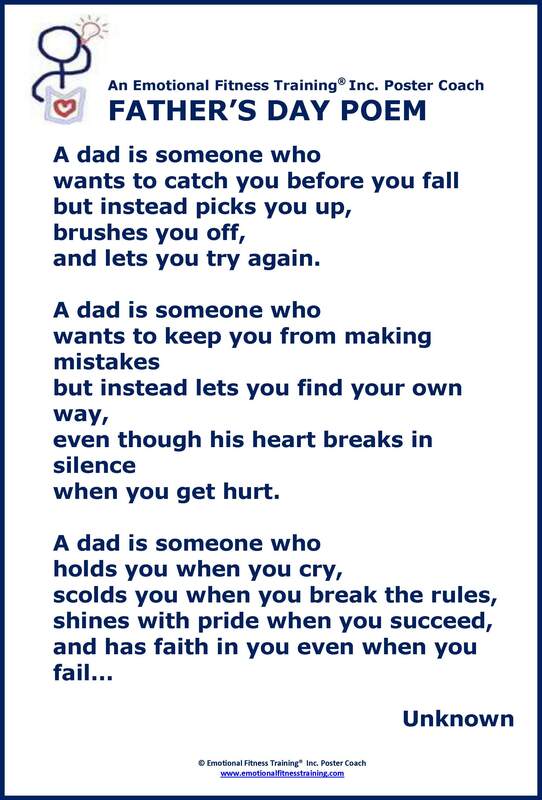 Written I am sure by one who had just such a father and the kind we all want, and all the Dad’s I know strive to be. Stay strong by remembering what matters, sharing and caring, laughing and playing.